In Outlook 2010 and Outlook 2013, the default *.pst location for POP3 accounts in new profiles is My Document\Outlook Files. If you upgraded to Outlook 2010 or 2013 and kept the old profile, the *.pst file is not moved. IMAP and Outlook Hotmail Connector data files remain in the local appdata \microsoft\outlook folder. If Outlook is open, you can open Windows Explorer to the pst location from the File, Data File Management menu. 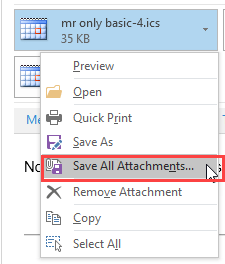 (File, Account settings, Data files tab in Outlook 2010 or 2013.) Select the PST and click Open folder. 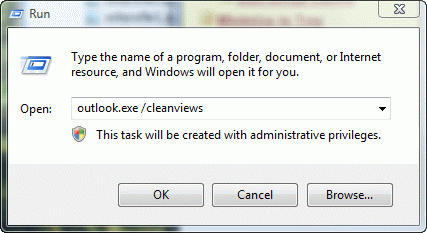 You can close the Data File Management dialog (and Outlook, if desired) once Windows Explorer is open. In Win 7 and 8, open Windows explorer and type the file name in the Search field on the right. 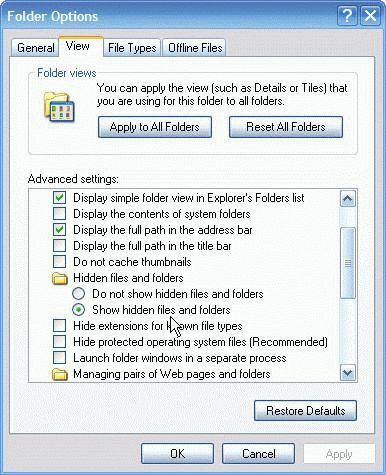 To show all hidden files and folders in Windows 8, look on the View ribbon in Windows Explorer and add a check to Hidden items. To show all hidden files and folders in Windows 7 or Vista, open Windows Explorer and click on the Organize button on the left, then select Folder and Search Options from the menu. Published December 1, 2005. Last updated on May 5, 2017. I have tried everything but now need help...all my files in my Outlook 7 are gone...how do I get them back? This is outlook 2007? What type of email account do you use - POP, IMAP, or Exchange server? IMAP and Exchange data files are in %localappdata%\Microsoft\outlook - POP3 and Archive pst default to that location in outlook 2007 too. Husband got new computer; other HP died. Was able to copy pst /ost files. can not find key to install outlook files. what do I do? I was using Windows XP but the motherboard on my ancient (but stable) PC died. I have a clean install of Win7 on a new CPU and have transferred my old HDD to move some stored data across. These include my old e-mails. 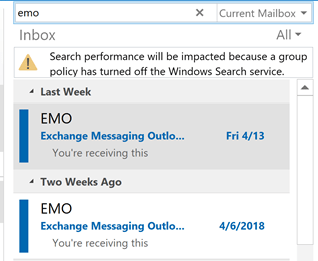 I am using Office 2007, have located the pst files but cannot seem to import them to my new mailbox. Is there anyway of retrieving them? What happens when you try? You should just copy them over and open them in the profile - no need to import. 265KB = empty pst. Check in Outlook on the old computer, at File, Account settings - verify if the account was set up as pop3 or imap. In Outlook 2010, imap used a pst file, in 2013, it uses an ost file. 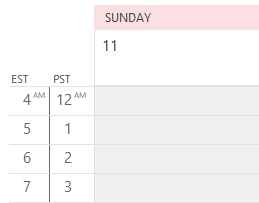 I would definitely set a pst as default in outlook 2013 - you don't want calendar and contacts in the imap data file's 'this computer only' folder.